Josh Engelbart handles the trial of civil lawsuits for a number of the firm's clients. He has been recognized as a Rising Star by Missouri & Kansas Super Lawyers. At law school, Josh graduated in the top 20% of his class and was a Note & Comment Editor for the Journal of Dispute Resolution. 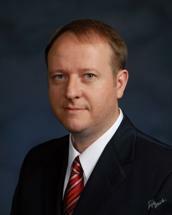 Josh is a member of the Missouri Organization of Defense Lawyers (MODL) and currently serves on its Board of Directors.